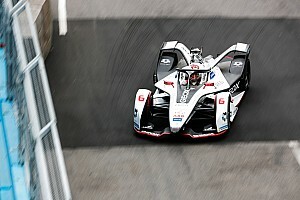 BMW is among the manufacturers that has been accepted by the FIA to become powertrain providers for seasons five, six and seven in Formula E.
The German marque is among the list of nine manufacturers that submitted plans to the FIA in February and have subsequently had them accepted. Among the others to have been accepted and notified about their registrations are ABT Formel E, Mahindra, Renault, Jaguar Land Rover, NEXT EV, Penske Autosport and Venturi. Motorsport.com revealed last Wednesday that DS Performance were one of the manufacturers to have presented dossiers to the FIA. The PSA-owned brand have also been accepted to become a standalone manufacturer from 2018 onwards. Today's news from the FIA comes to mark out further growth and stability in the all-electric championship and ensure long-term plans for manufacturers over at least three seasons. All of the manufacturers accepted today have committed their plans to Formula E until the end of season seven in 2021. The homologations mean that these powertrains will be synchronised with the new chassis and battery for 2018, which are to be provided by Spark Technologies and McLaren Applied Technologies from 2018 to 2021. FIA President, Jean Todt said of the announcement: "The homologation of the powertrains that will be used as from season 5 is a very significant step because it means the cars will be able to run for twice as long while, at the very least, maintaining the same performance level. "This highlights how motorsport can stimulate and accelerate development of new technologies which can then be applied to road cars and in this case, it has even more of a key role, given that at the moment, electricity is one of the more practical alternatives when it comes to finding new forms of more sustainable mobility in the future." BMW has been working with the Andretti Formula E team since early 2016 but only officially confirmed its evaluation of a future full works effort last September. 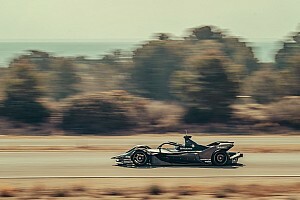 That was when BMW's motorsport director Jens Marquardt said the Formula E move would allow the company to "forge new paths and demonstrate our expertise in the field of electric mobility". 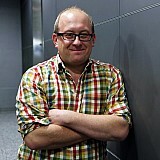 "A works involvement is then conceivable as of the series' fifth season," said Marquardt last autumn. "The premise for all these steps is the further positive development of the series, which includes increasing the capacity of the batteries, for example." This is set to take place in 2018/19 when McLaren Applied Technologies delivers an energy increase from 28kWh to 54kWh for season five in order to ensure the one car/one driver format to races. Energy harvesting is also planned to get a hike from 150kW to 250kW. Audi is understood to have essentially entered their powertrain under the ABT Formel E name as it continues to build up to a full works outfit. AMG customer specialist HWA is believed to have strongly considered a submission this year but did not present a future powertrain. However, this does not mean that the company could not enter Formula E in season five. Motorsport.com understands that it is evaluating being an initial customer team in 2018/19 before further investigating a Mercedes powertrain in season six – 2019/2020, which the regulations allow. 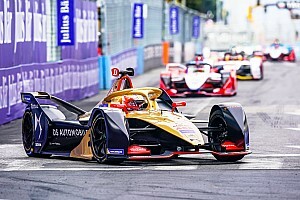 As reported by Motorsport.com in November at the Marrakesh round, two HWA engineers – Neil Martin and Steve Clark were in attendance gathering information and having meetings with various Formula E personnel. The two British engineers are thought to be an integral part of an entry for HWA in season five. Two additional teams are set to be granted a position on the 2018-19 grid due to the extra space gained from reducing the cars to two per team. While HWA could take up the option reserved by Mercedes last season, the identity of a potential second new team is as yet unknown. Speaking about the list of manufacturers, Alejandro Agag said: "When we launched the series in 2012, we had forecast to secure at least three manufacturers by season five. The news today has highlighted the number and quality of manufacturers joining the championship and tripling our initial expectations. "This just goes to show the relevance of Formula E to the motor industry and as an attractive proposition to new audiences and commercial partners, such as the recent agreement with Allianz."